I’ve been fascinated by the power of graphic design and branding for as long as I can remember — especially airline branding. From liveries and in-flight magazines to the coffee stirrers and uniforms, airlines present their image and values to us at every turn. Thankfully there are a number of books out there that delve into this very topic. Here are four that I have enjoyed. Amazon tells me I purchased this book in 2003! Originally published in 2000 it documents the history of airline branding from the early dawn of commercial aviation and covers everything from the plane liveries through to staff clothing, in-flight food, and the long-forgotten pre jumbo interiors of the jet age. Given the age of the book, you can order it for 1p on Amazon! The recent Lufthansa rebranding got a lot of press — not all of it positive. Ironically this was the first time the airline had tinkered with its brand in decades. In “Lufthansa and Graphic Design” Jens Muller documents the Lufthansa visual identity from it’s inception in 1926 to the late 2000’s. This book includes illustrations from the corporate archive as well as background articles, interviews, reproductions from the first corporate design manual put together by designer Otl Aicher for Lufthansa in 1963. The book is available from Amazon for £25. Lufthansa isn’t the only airline to have a very recognisable and historic brand. The British flag-carrying airline, today known as British Airways, has had a long and interesting history involving many name, livery, and design changes. 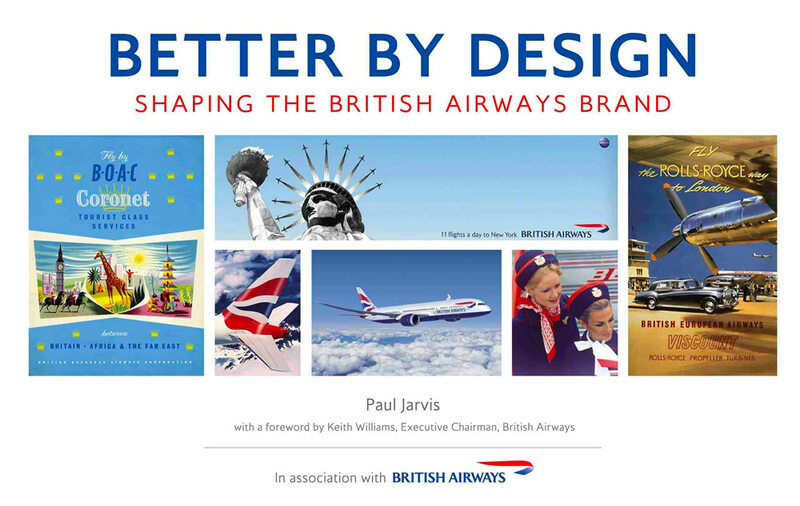 “Better by Design: Shaping the British Airways Brand” by Paul Jervis charts the long and interesting visual identity from BA’s predecessor airlines BOAC and BEA to the company we know today. This book charts the evolution of BA’sadvertising, aircraft interiors, onboard experience, crew uniforms, and discusses how these have come together to shape not just BA’s brand but the commercial aviation industry. Finally, I’d like to round out this post with the history of a building, the TWA Flight Center at New York City’s John F. Kennedy International Airport. 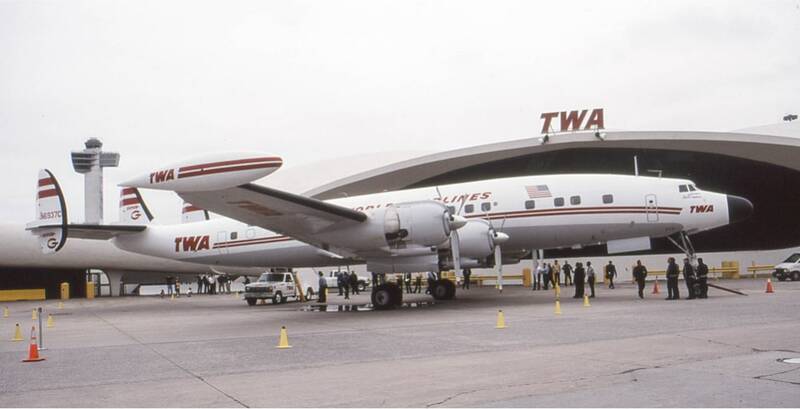 TWA no longer exits, having been acquired by American Airlines in 2001, but was a major airline back in the onset of commercial aviation. After the opening of the JFK’s International Arrivals Building in 1957 many of the major US-based airlines built their own terminals. In 1959 United Airlines and Eastern Air Lines opened their own buildings, swiftly followed by American Airlines and Pan Am with their glorious Worldport in 1960. 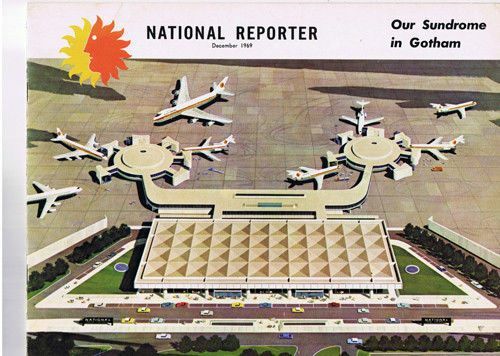 Towards the end of the decade, National Airlines opened the Sundrome. “Designing TWA: Eero Saarinen’s Airport Terminal in New York” documents the building from idea to opening and includes insights into many of the challenges it faced. Sadly, with the arrival of the Boeing 747 in 1970, the terminal proved outdated and inefficient given the vast number of passengers using it. Having been conceived prior to the dawn of the jet airliner many of its features were built for smaller, propeller-driven, planes. Having sat relatively dormant for many years, and with many proposed new uses, the Flight Center is gearing up to reopen as a TWA themed hotel — wallet permitting I’ll be checking in as soon as I can.